A stone floor is a very practical choice for high traffic areas like a hall. It’s easy to clean, hard wearing and won’t be damaged by water or dirt, pets or children. But once you’ve decided on stone, which one do you choose? 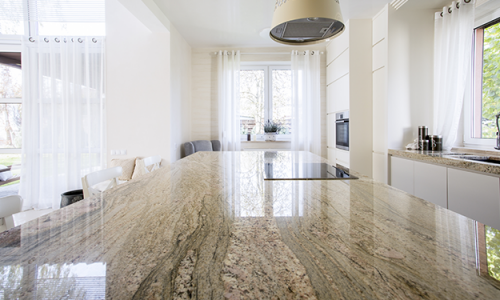 These 4 questions will help you find the perfect stone for your home. Staying within your budget is important for every home improvement project. You don’t have to tell us up front, but if you know what your upper limit is, you’ll be able to exclude choices that are out of your price range before you fall in love with them. For flooring, it’s a good idea to calculate the cost per square meter, and also convert it into square feet. Remember that installation will be on top of the per unit cost. That said, prices on many luxury stones have dropped in recent years. As an example, marble has been highly sought after for centuries. New technologies mean that a marble floor is no longer reserved for presidents and princesses – anyone can have a beautiful piece in their home. 2. What do I Like? What’s My Home Style? Obviously, if you’re shopping as a couple or a family, you’ll have to come to some agreement. But most homes have a distinct style that has developed naturally and works well. Even homes that are rented fully furnished quickly take on the personality of their family. If you’re not sure what your style is, visit our workshop to look at some samples or ask a friend or family member to describe your house and see which adjectives they use. 3. What do you want to change about your hall? What do you love? Not every problem can be solved with a new floor, but many can be eased. As an example, if your hall feels dark and cramped, a light floor will help it seem brighter and more spacious. If your hall is hard to clean and always untidy, then a stone floor will be easy to mop and won’t pick up stains as carpet can. If you’re longing for a little elegance in your life, then creating a smart entryway can give you a lift every time you come home. 4. What About Polish, Cut, Finish, Source, Stone Type? If you have any strong feelings on those issues, then list them out and discuss them with anyone you share the house with. If you don’t know what some of the words mean, then don’t worry. As stone workers, our job is to understand the ins and outs of our industry, which we do, and to explain the options in clear terms to our customers. Beyond that, our goal at Surrey Marble and Granite is to help you find a stone floor that fits your home and makes every day closer to its best days. You know the ones – when you’ve had a good clean, or everyone’s being unusually tidy, the sun is pouring in, you’ve got fresh flowers on the counter and, perhaps just for a moment, you feel like you live in a house worthy of a magazine. That’s where we want to take you.